There aren’t many smells better than freshly baked chocolate chip cookies. This recipe is a family favorite, and I guarantee you’ll want to sample that first cookie before it’s cooled on the baking sheet. It’s best paired with a glass of cold milk. Heat oven to 350. Blend Crisco, sugars, vanilla and water. Beat in eggs. Add flour, salt & baking soda. Stir in oats and chocolate chips by hand. Drop on cookie sheet. Bake 10-12 minutes. 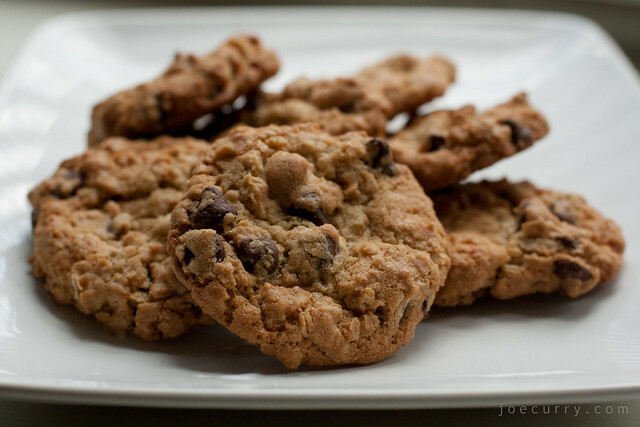 Variations: Instead of chocolate chips, try adding raisins or butterscotch chips.